Low Carb 3 Ingredient Pizza Base | Keto Recipes! Quick and easy pizza base made in just 10 minutes! Heat some butter in a large frying pan until melted and Preheat Oven to 350f. Pour batter into pan and cover with a lid. Once small bubbles form on top flip it over. Heat other side for 1-2 minutes. 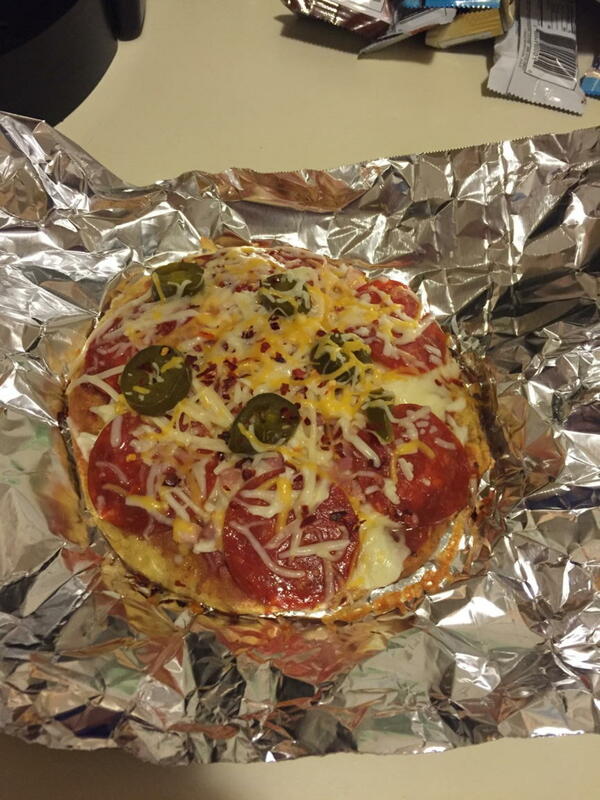 Put desired toppings on and throw into the oven at 350 for 5-6 minutes. Next articleWhat are Macro-Nutrients and Why Are They Important? Looks awesome, can’t wait to try. Are the measurements U.S., UK, or other? Thanks! per pizza or per slice?